Texting My Pancreas: #GiveAllTheThings: Adorable Bags. Tuff Clutch: Lora: "Justin doesn't look very "tough" carrying around my Vera Bradly with his things... He would love a boy clutch to "toughen" up ;) but the I'd is good as well, since Justin can't find any of his." Tuff Band: Denise: "Bean has some girly ID bracelets that she loves, but I think she totally needs something to reflect her tough side, too." If you're listed above, please email me with your full name and mailing address by clicking here! Products: A "Tuff Band" (up to US$22.00 value) and a "Tuff Clutch" (US$39.99 value) for your diabetes swag! Why you want this: Rickina makes great accessories, and the bag I have from her seems to have a space for everything! These are super durable, as well as being customizable. Click through some of the pictures on the Stick Me Designs site to see just how much this little clutch can hold, and what the options are. Aren't they fun? To enter today's contest: Leave a comment on this post that uses the word "tough"! Comments must be time-stamped by 7:00pm CST, at which time I'll select TWO winners via random number generator and update this post with the winners. (One winner for the Tuff Band, and one for the Tuff Clutch. If you have a preference, let me know... but that doesn't guarantee anything.) This contest is open to everyone, not just U.S. residents! Remember that Give All The Things! 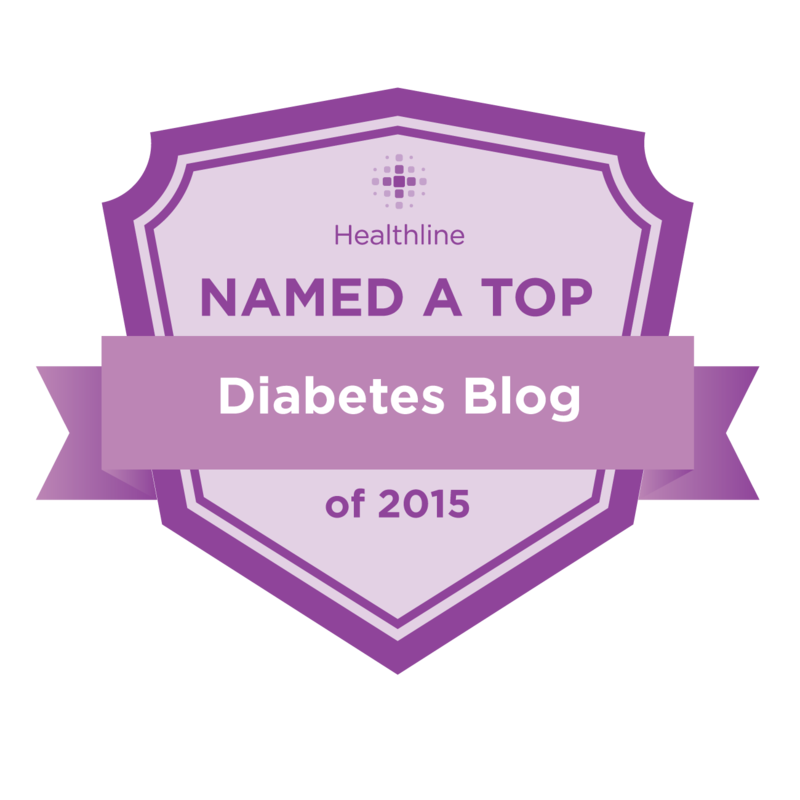 prizes are intended for people with diabetes and their caregivers, only. Awesome giveaway!! My daughter is super tough and never lets diabetes hold her back! I'm so glad my hubby and I are so tough that we are getting through this. My pancreas may be one tough customer, but my pump, Rosie and I, are TOUGHER. Thanks for holding these giveaways. So fun! My 13 year old daughter was dx on April 12 2012... It's been super tough on us all but we are making it one day at a time!!! She has diabetes, diabetes does not have her! Managing diabetes can be touch, but the DOC (and a tuff clutch) makes things easier!! Adjusting to diabetes at this time in my life is challenging, but I can't imagine how tough it would be for a parent of a T1 child: you folks are amazing! It's a tough disease, even with a lot of work, dedication, complication, and tears, but everyday all of us (whether we've got it or love someone who does), prove that diabetes is not tough enough to beat us! life with diabetes can be tough, and sometimes it's the little things like cute accessories and supplies that make you feel better. My fingertips are tough after 50,000 blood sugar checks. Ahhh, cool! I love orange (and other bright colors), so the clutch bag is right up my alley. I'm also fond of this new craft fad with parachute cord in bracelets, so those are cool too. I can't believe how tough my T1 grandaughter is at only 4 years old. She's already been living diabetes for a year now, and she amazes me everyday!! These giveaways are so great I might have to say "Tough luck!" to my girls because I'm keeping them. It's tough out there finding cute diabetes jewelry that will also last! T1D has made me tough also, until it makes me cry at commercials w/ cute animals and almost every episode of Ellen. Then my daughter just laughs at me for not being so tough. Oh diabetes you are strange. It can be tough to find a bag that is cute, larger enough for all my supplies, and can hold up to daily use, so I'm excited about this giveaway! My five year old is one tough cookie. She never let's diabetes get in her way! I thought diabetes was going to be tough.. and it is, but with the support of my Type Awesomes and DOC family I can do it! Somedays I can't believe how tough my daughter is. She continues to amaze me everyday. I never think of myself as tough until full-grown men that I know blanch at the sight of me squeezing a tiny blood drop from my finger! Might as well get something cute to put all my tough-girl diabetes accessories in. It's tough being sick when you have diabetes. Now I have to be extra careful that this viral bronchitis doesn't turn into a secondary infection AND bump my basal up to like 150% for the next five days while I'm on steroids! yay! T1 is tough but the DOC makes it tolerable! Nobody will give me antibiotics even though I'm pretty sure I have a sinus infection going on because I don't have a high enough fever. The medical community and its rules can be tough. At the same time, I thank heaven for them. Seeing my little girl go thru life doin finger pokes injections, counting carbs is tough but she is tougher she is my hero and dealing with this would be real tough without my friends in the doc! We tell my T1 daughter all the time that she is super tough! She is the toughest 5 yr old I know! 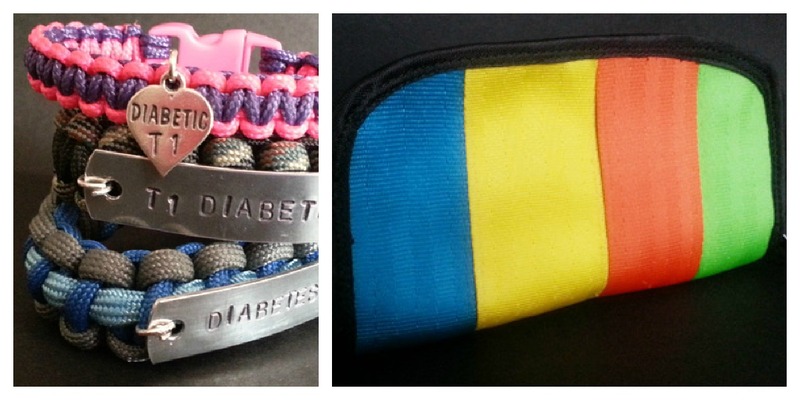 Diabetes is TOUGH...but cool accessories like these help! Thanks for doing a great giveaway! When I was first diagnosed, the nurse told my grandparents that if they weren't coffee drinkers, they better become one, because diabetes is so tough and they'd have to get up frequently at night to check on me. Nothing especially clever, but my little Sunshine girl (age 7) is a tough one!! She's such a trooper. There'll be so many comments, I'm sure no one will see this, but I'm going to brag anyway: She checks her blood sugar herself. She does her shots herself. She's had her CGM for 3 months. She puts in the sensor HERSELF. I offer to help, but she's amazing!! She is SEVEN and doing all that?! What a rockstar!!!!! My girl was dx in feb 2012 & thinks its tough to find a cute bag to carry all her D stuff. My T1 daughter's teacher was so impressed with how she managed her diabetes at school, he presented her with a special award at the end of third grade. She was so proud to accept the "Sweet as sugar, tough as nails" award. Sometimes things are tough. Sometimes I feel tough. Then I go rock climbing, fall over and over and over, get really sore, and don't feel so tough anymore. This is one of those days. Tough is seeing your coworkers sampling all of the holiday cookies to everyone, and knowing you 1) can try one, but you have to mess with bolusing, ect...and 2) half of them contain NUTS, and whoah, Allergic! That's tough! Finding a gluten-free diabetes and heart friendly meal at the hospital where my daughter labored was tough. One would think that in a hospital cafeteria finding such would be easy. One would be wrong. Tough is pretending you don't mind that your friend eats that piece of chocolate cake when your sugar's high or pretending you don't notice the obnoxious stare at your pump all with a smile on your face. Picture to me tough finding a place for all of my D essentials! I think that you are doing wonderful things here, Kim! Living with diabetes is tough, carrying around all the D-necessities is tough, and finding pretty D-jewelry is tough. Great idea for a giveaway! ok, fine, that's a cop-out. Bean has some girly ID bracelets that she loves, but I think she totally needs something to reflect her tough side, too. It's too tough to chose between the tuff cord and the tuff clutch. I don't have anything inspirational to say, I've been T1 for so long now I'm just thrilled for the chance at new diabetes accessories! Being the mom. Being the nurse. Being the boo boo kisser. Being nocturnal. Being a mathematician. Being a safe place. Being a magician. Being an octopus. Being the dietician. Being a teacher. Being a scientist. Being a cheerleader. Being the monster under the bed finder. Being the voice because his is still a little to small yet. This stuff is not easy. The TOUGH one though....not me. The TOUGH one is my four year old son Danny. He is my superhero! The tuff bands are really neat! My daughter's nickname is the T1D Honeybadger....gotta inject her for an extra cookie? 2 pump & 1 CGM change within the same hour? finger pokes 12 times a day?T1D Honeybadger don't care... and my T1D honeybadger would LOVE a Tuff Band! My daughter's nickname is the T1D Honeybadger because she's TOUGH....gotta inject her for an extra cookie? 2 pump & 1 CGM change within the same hour? finger pokes 12 times a day?T1D Honeybadger don't care... and my T1D honeybadger would LOVE a Tuff Band! My son being diagnosed with Type 1 at age 5 in August 2011 and my daughter being diagnosed with Type 1 at age 13 two months later in October 2011 was tough, but they are TOUGHer and amazing! My two year old is tough. He endures this crappy disease and still manages an adorable dimpled grin all day! Diagnosed almost a year ago and just got him to wear a med alert bracelt! Maybe we should try this version too? T is for the Type of Diabetes I have, #1. 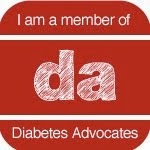 U is for the Ubiquitous nature of Diabetes, sometimes its ubiquitousness is a backseat thing, sometimes front-seat. G is for Glucose!..or Grape flavored glucose tabs. The comments/entries/replies are fascinating. It would be fun to win one, but, I'm hoping one of these tough kids win what they want. Justin doesn't look very "tough" carrying around my Vera Bradly with his things... He would love a boy clutch to "toughen" up ;) but the I'd is good as well, since Justin can't find any of his. You know anyone living with diabetes is tough! Yay!!! I won!!! I NEVER WIN!!!! Thanks for doing a great giveaway for diabetes.